President & CEO, Mr. Brian Findlay of Dajin Resources Corp. (TSX-V: DJI) / (OTC: DJIFF) / (Frankfurt: A1XF20) brings decades of senior management experience in various aspects of the industry. 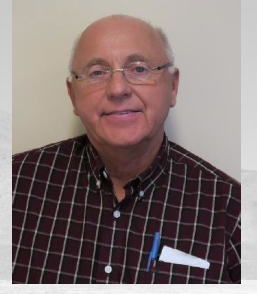 He learned the business from the ground up gaining broad experience ranging from corporate development & international mining, to M&A, exploration & development, to the managing, financing & administration of public companies. His experience and managerial skills are now focused on the development and growth of Dajin Resources Corp. Over the years, Brian has participated in the raising of over C$200 million in investment capital for a number of junior resource & technology companies. I interviewed Brian by phone and email in the week ended May 13th. 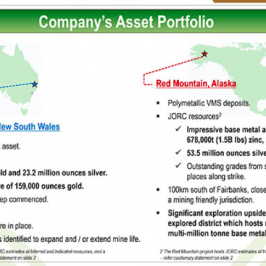 The views contained in this interview are entirely those of Brian Findlay and Dajin Resources Corp. Please describe Dajin Resources for those unfamiliar with the story. We are an energy metals company focused on exploration of lithium-brine prospects in the salars of northwestern Argentina in South America’s “Lithium Triangle,” and in Nevada’s, “Lithium Hub.” We’ve had boots on the ground in Argentina for over 6 years. There’s been a lot of reports of positive changes from Argentina’s new presidential party, the country is open for business again. We are seeing this first hand as we work towards receiving exploration permits on a portion of roughly 93,000 hectares. It’s hard not to learn a great deal about the lithium industry when on the ground in the heart of the, “Lithium Triangle.” We are lucky to be able to leverage our experience in Argentina & Nevada to proactively move the Company forward. Before jumping into Dajin, do you have a view regarding the demand for Lithium-ion batteries? Yes, we watch the lithium-ion battery industry, it’s impossible not to. Readers should know that we share important lithium Company and industry news on Twitter. 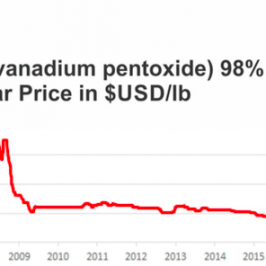 [NOTE: Dajin Resources Twitter feed] While there may be a bubble in lithium juniors, there’s certainly no bubble in lithium-ion battery demand! 12 “mega-factories”… think about that. Last year there was just 1 giga-factory. Tesla’s news that it will pull forward its already ambitious production goal for 500k EVs annually from 2020 to 2018 is just the latest bullish market data point. More aggressive production schedules from global players seem likely to follow. But, new lithium supply above the upcoming 4 or 5 sources accounted for, and possible expansions from existing producers, might not be enough. It takes years and years for new supply to reach market. That’s why Dajin has a long-term horizon. 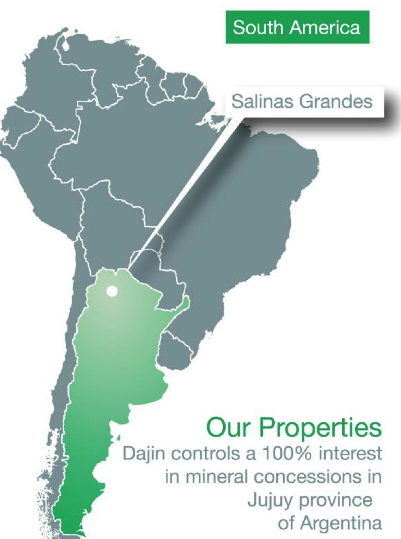 Can you talk more about Dajin’s exploration opportunity in Argentina? And what about Dajin specific activity and plans for Argentina? It’s an exciting time for Dajin in Argentina. Literally within weeks of Macri’s victory, we were able to convene an essential meeting (UGAMP), on our San Jose & Navidad concessions located on the Salinas Grandes salar in Jujuy Province. This meeting, which brought together ourselves, government representatives and delegates from local communities, was one we had patiently waited years for. 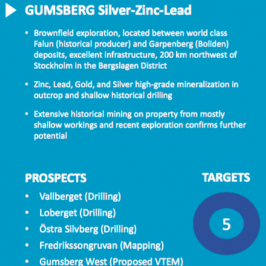 The main goal was to review and ratify proposed exploration plans put forth by the Company. This meeting was an important step towards Dajin being awarded an exploration permit. We’ve now held 2 UGAMP meetings and questions from 12 interested parties have been addressed. We are in the final stretch to obtaining an exploration permit. We have an in-country representative who’s been visiting with the Ministry of Mines and others in Jujuy Province. Dr. Hickson is traveling there this week (week of May 16th) for a meeting with the Minister of Mines in Jujuy. Assuming we get our permit, we would begin low-cost surface exploration on our San Jose concession covering about 4,400 hectares (10,870 acres). We recently raised C$1.26 million which will carry us comfortably through initial surface exploration and various outreach efforts to communities to build upon already established relationships. Brian, you mentioned that Dajin recently completed a C$1.26 million financing. Where does that place the Company? Yes, we are pleased that the financing was non-brokered and oversubscribed. With current planning in mind, we think we are funded through the end of 2016. However, that doesn’t mean we would not entertain the idea of raising additional capital under the right circumstances. Our capital structure now contains about 130 million shares outstanding, roughly 10 million incentive stock options with strike prices in the C$0.08-C$0.14 range and about 10.5 million warrants struck at C$0.17. These warrants are in-the-money. If exercised, that would add about C$1.8 million to the coffers. Can you provide an update on the Company’s possible strategic initiatives/partners in Argentina? We have nothing to report on that front. We’ve been in country for more than 6 years, so we believe that potentially interested parties are aware of Dajin and what our Company controls in Jujuy. However, we think prospective partners are likely waiting to see some numbers, some indicative info on brine concentrations. Whether that means lithium concentrations of 500ppm, 700ppm or 900ppm…. we don’t know what might interest them, and we don’t know what we have. So, yes we are always open to discussions, but we have no comment at this time. The property is about 47 miles (87 km) from Orocobre’s Salar de Olaroz plant and Lithium Americas’ pilot project in Cauchari salar just to the south. What’s the latest regarding Teels Marsh in Nevada? 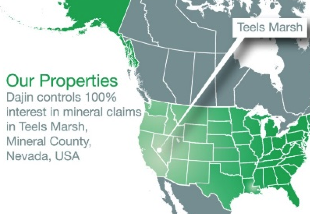 Yes, in Nevada our focus has been on our wholly-owned Teels Marsh property in Mineral County. Surface and shallow subsurface sampling have provided promising results. A gravity survey indicated that the basin is very deep – up to 6,500 ft (2,000 m), giving us the confidence to proceed with a number of initiatives. On May 4th we announced that Eagle Exploration Inc will carry out it a 12 mile (19 km) high resolution seismic survey on Teels Marsh. The seismic survey will help in well targeting as to depth and location. An earlier seismic survey suggests the marsh may be well over 6,500 feet (2,000 meters) deep and that thick accumulations of volcanic ash deposits are likely to be found. These ash layers have proven to be productive brine sources in Clayton Valley. What are some near-term catalysts to watch for? Laboratory assay results from samples at Teels Marsh in Mineral County, Nevada should be available within the next few weeks and the results of the seismic survey is expected in the next 4 weeks. In Argentina we’re hoping to be granted a decree to explore on the San Jose concession in Argentina as soon as this month. We are very organized and prepared in all of our interactions with governmental officials and applicable agencies. The speed at which things get done apply to everything, not just lithium exploration, but construction or mining or E&P. That’s why the experience of our team is so important. Dr. Hickson and two of our Board members, Mark Coolbaugh and Ben Ainsworth, are proficient in Spanish. They know how to get around the country, how to get things done. Combined they have a tremendous list of contacts all over South America. 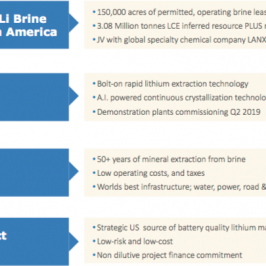 As Nevada & Argentina are inundated with new lithium exploration companies, what sets Dajin apart? That’s a good question. We think that for a small Company, we have significant land holdings and strong prospects in both Argentina and Nevada. While we can’t say we’re the only ones active in two jurisdictions, we have more experience than many peers because we’ve been working entirely on lithium for more than 6 years in Argentina and nearly 2 years in Nevada. We have a very experienced management team familiar with working in foreign jurisdictions. Our Board, technical advisors and consultants have the experience and expertise needed to explore and advance our projects, while peers conserve capital, perhaps hoping to sell out in today’s hot lithium market. We are a lithium junior that’s been focused on lithium longer than most. We have a long-term horizon measured in years, not weeks or months. Our cash liquidity and access to capital bridges us to the next phases of exploration. Disclosures: The contents of this interview are for informational purposes only. 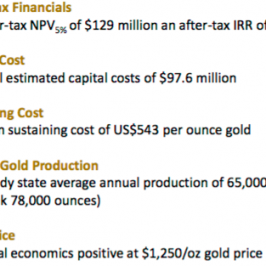 Readers fully understand and agree that nothing contained in this interview by Peter Epstein, of Brian Findlay, CEO of Dajin Resources, including but not limited to, commentary, opinions, views, assumptions, reported facts, calculations, etc. is to be considered, in any way whatsoever, implicit or explicit investment advice. Further, nothing contained herein is a recommendation or solicitation to buy, hold or sell any security. The content contained herein is not directed at any individual or group. Peter Epstein and Epstein Research [ER] are not responsible, under any circumstances whatsoever, for investment actions taken by the reader. Peter Epstein and [ER] have never been, and are not currently, a registered or licensed financial advisor or broker/dealer, investment advisor, stockbroker, trader, money manager, compliance or legal officer, and they do not perform market making activities. Peter Epstein and [ER] are not directly employed by any company, group, organization, party or person. The shares of Dajin Resources are highly speculative, not suitable for all investors. Readers understand and agree that investments in small cap stocks can result in a 100% loss of invested funds. It is assumed and agreed upon by readers of this interview that they will consult with their own licensed or registered financial advisors before making any investment decisions. At the time this interview was posted, Peter Epstein owned shares of Dajin Resources and the Company was a sponsor of Epstein Research. Any comparison between or among stocks is for illustrative purposes only and should not be taken as fact or relied upon. Readers understand and agree that they must conduct their own due diligence above and beyond reading this interview. While the author believes he’s diligent in screening out companies that, for any reasons whatsoever, are unattractive investment opportunities, he cannot guarantee that his efforts will (or have been) successful. Mr. Epstein & [ER] are not responsible for any perceived, or actual, errors including, but not limited to, commentary, opinions, views, assumptions, reported facts & financial calculations, or for its completeness. Mr. Epstein & [ER] are not expected or required to subsequently follow or cover events & news, or write about any particular company or topic. Mr. Epstein and [ER] are not experts in any company, industry sector or investment topic.